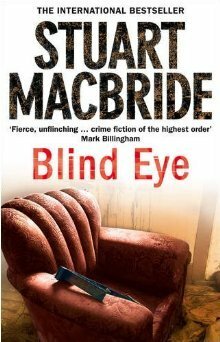 My first Stuart MacBride novel, as read by Stuart MacBride, with funny voices by Stuart MacBride. My wife and I had this book on CD for our holiday driving, following the adventures of Logan McRae. My wife felt the story was dragged out a bit too much, I felt that Logan really needed to go postal on his bosses. This was quite a good novel, but would only really appeal to the crime genre fans. If you don’t like the drama of the investigation *cough* my wife *cough* then this story won’t interest you. If you currently feel like hitting your boss repeatedly over the head with office stationery, then this book will make you even more inclined to do so, as you empathise with the protagonist. If you prefer straight-forward plots, once again, not for you. If you like Scottish accents, you’ll love this book.